Much about the man known as Count Saint-Germain's past remains unknown. We know that he was one of the twelve immortals gathered together by Moloch, then known as Ptath, who, after the destruction of Mû, founded Atlantis. Among his friends then were the Atlantean Tatamoua and the men who later became known as Cagliostro and Imhotep. 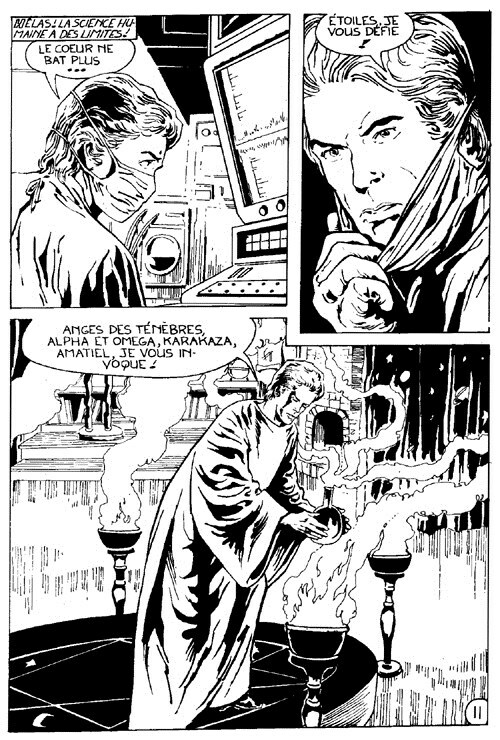 After the destruction of Atlantis, Saint-Germain helped some of the survivors, known as Mohenjo Dar, to create the Aggartha in the Valley of Kappa in Tibet, where Tatamoua became the guardian of the living computer known as the Great Memory. The next known appearance of Saint-Germain was in Rome at the time of Caesar as Senator Germanus. There, he helped Gallix recover the Scepter of his master,and defeat Wampus, but unwittingly aided in the creation of the man who would become his arch-enemy, the evil sorcerer Maleficus. Soon after, Maleficus joined the Twelve in order to betray them. With the goddess Misr, Maleficus fathered a daughter, Sybill, with whom Saint-Germain eventually fell in love. During the Crusades, Saint-Germain took part in the creation of the Templar Knights, fought the Black Riders of the Assassins of Alamut, located the Holy Grail and entrusted it to the secret descendents of the Round Table, and acquired a new companion, Guillaume, whose body had been tortured by the Black Riders. In modern times, Saint-Germain has been busy thwarting various nefarious schemes by his old enemy Maleficus. 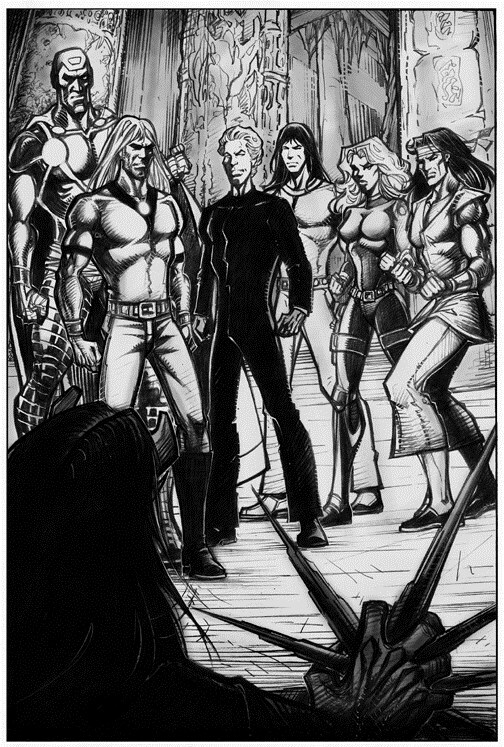 More recently, with the help of his Master, now known as Cardinal Faria, he helped the Time Brigade set up a plan to prepare Jean Sten to defeat Wampus. He also helped Kit Kappa to defeat Dr. Cybernac's attempt to take over the Valley of Kappa and fought alonside the Strangers against Kruge in Atlantis. Saint-Germains's friends portrayed here include Guillaume, his hunchbacked servant, Sybill, his Master i8n his incarnation as Ptath, Cagliostro, and the Atlantean Tatamoua. His arch-enemy is the evil mage Maleficus.